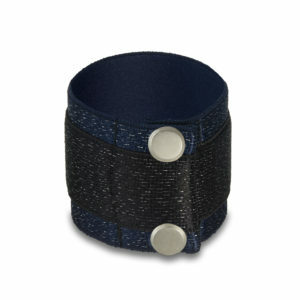 The shining star cuff in denim and navy. 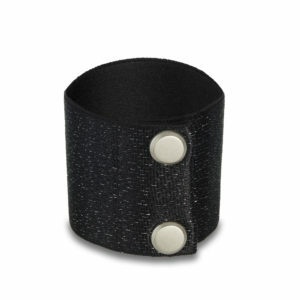 This one of a kind fashion-sport cuff is totally on trend for those who desire ease combined with total sophistication. 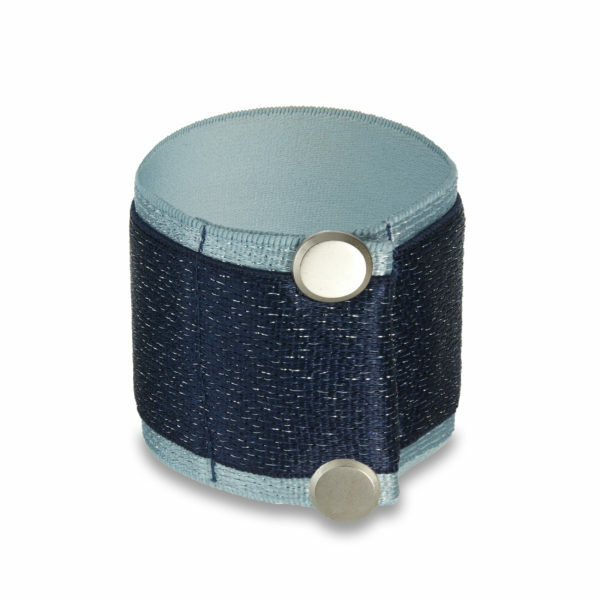 Each cuff is designed to fit comfortably with maximum impact. 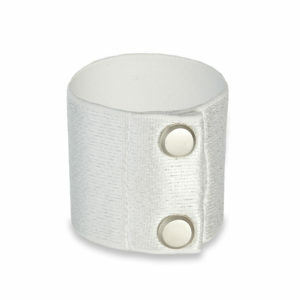 The cuff measures 7" and features custom signature large snaps for a bold look. These are the kind of pieces you wear consistently from early morning to a night out on the town. 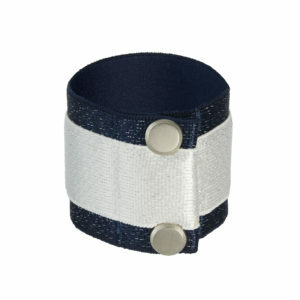 Only available at Jennifer Schuitemaker.